Nominate Yourself to a Leadership Position for 2014-15 PTA School Year! To submit a ​nomination for yourself for a leadership position or someone else, please get in touch with one of the nominating committee​ ​ members, you can find their names ​below. All nominations must be turned in by February ​21st, 2014. 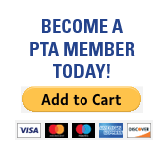 ​ ​The nomination committee will be presenting the slate of nominees at ​the PTA March monthly meeting.​ The​ ​Officers will be elected at the ​PTA Monthly Meeting in April and will begin their term​s ​July 1st, 2014. Vice President – ​is also in their 2nd year and is OPEN. Treasurer – will no longer have students at NHE/OV and is OPEN. These positions are essential to the PTA and ​NHEES/OVES. Without these positions being filled ​NHE/OV students and families will miss out on a lot of events, programs and activities from the PTA that assists in making our school ​s​ great. Do not let this happen! Volunteering is important for the PTA. Our dedicated PTA parents continue to make great things happen at ​NHEES/OVES.